Marwan AlZaabi’s 22 years career is enriched with successes and expertise in the field of Organizational and Governmental Excellence. Currently, AlZaabi is serving as the Director of Sheikh Government Excellence Programme Department at the UAE Prime Minister’s Office. In his capacity as the director of SKGEP and through the implementation of best practices, AlZaabi ensured proper execution of the Government Excellence Model across 40 federal government entities in the UAE. His execution effectively covers the responsibility of developing entities’ capabilities and innovative thinking in alignment with excellence principles to achieve UAE’s National Agenda. 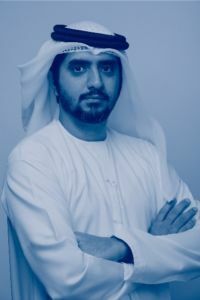 AlZaabi held eminent leadership positions during his career up to Vice President of Corporate Excellence at well renowned organizations, and through his valuable contribution in nourishing the culture of excellence; he has been an active participant of numerous achievements in various organizations on both local and federal governments’ levels. He has effectively managed to establish strong human capital base of brilliant professionals, with a target of driving organizational performance towards achieving worldwide leading positions in governmental excellence.